Greece continues to be one of the most popular locations with international property buyers. In part, this is due to the wide range of geographies, climates and lifestyles on offer depending on where you choose to look. In addition to the mainland of the country, there are over 200 inhabited islands, each with its own character and appeal. Three-quarters of Greece is uninhabited, and even the popular areas remain unspoilt. You can easily find an unspoilt island paradise. 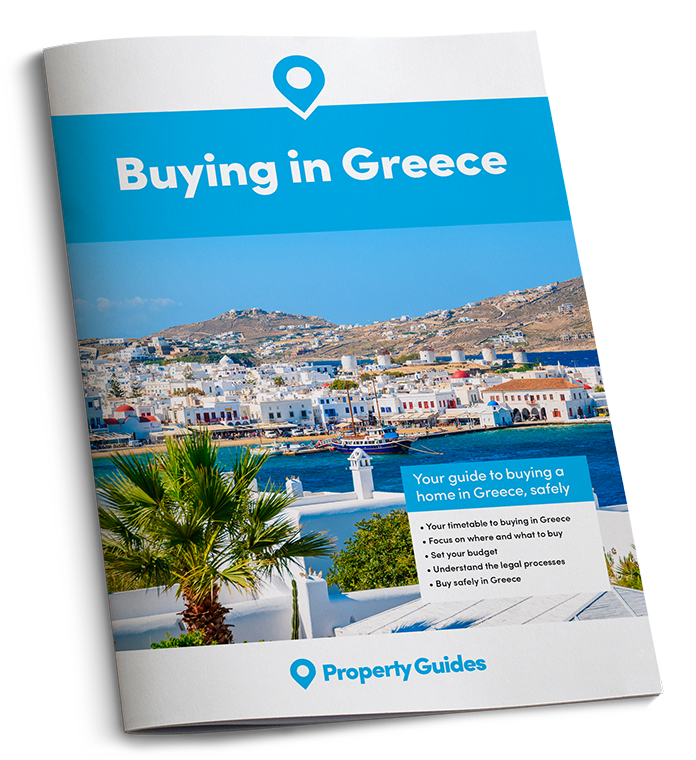 So, with so much choice, in Part Three of our six-part series on Buying in Greece, we’re looking at where to buy in Greece. And, if you missed Part One, on decision-making, and Part Two, on the buying timescale. 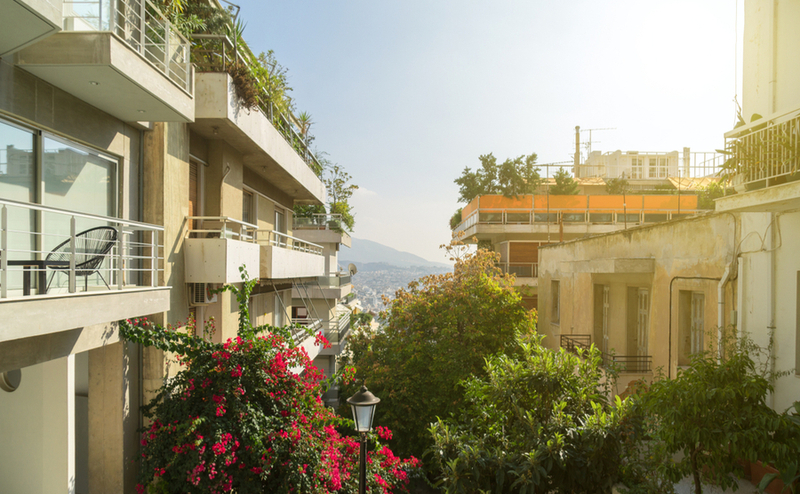 Most Athenians live in apartments in multistorey buildings, with convenient access to shops and cafés. Athens is one of the oldest western capital cities, and had a serious spruce up at the beginning of the noughties. However, the city is yet to recover from being hit by the financial crisis, and there are some signs of disrepair. Despite this, the city offers year-round life and entertainment, even in the winter months. It is served by flights from the UK throughout the year, so you can pop down for a winter weekend. Athens’ popularity continues in part due to the renowned friendliness of Athenians – and many British buyers can’t help but be swayed by the number of people who speak English. The most plentiful option for property in Athens will be six-storey apartment blocks in the city centre. 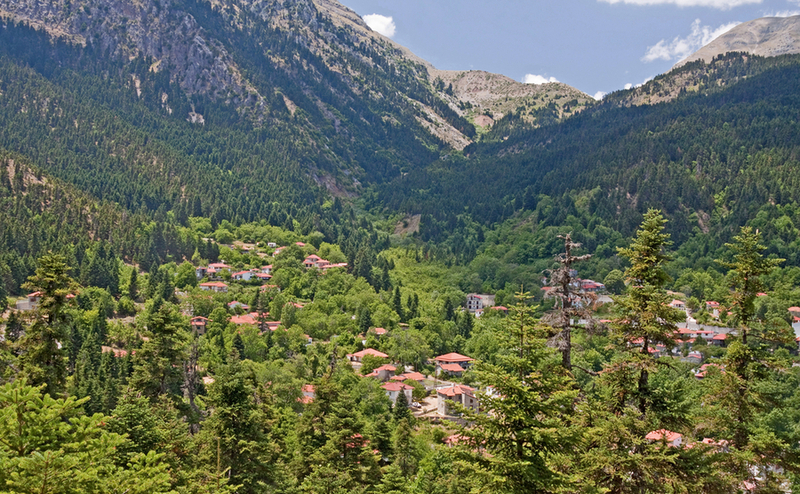 There are the leafy expensive neighbourhoods as well, where you can find larger properties, such as Kolonaki and Plaka. Plus, you can always find more expensive apartments in the trendier city centre locations. Download your Negotiation Guide to get the best possible deal for yourself when purchasing overseas. Just outside Athens, the region of Attica is also fairly popular. Here you can find beautiful coastal properties – although they do come at a premium. Particularly attractive are those found on the Apollo Coast, known as the Athenian Riviera. The resorts along this 50 kilometre strip are busy throughout the year. If you’re looking where to buy in Greece and tranquility’s top of your list, try the central region. If you are looking for a more rustic and less touristy part of Greece, the central mainland is perfect. Here life seems to have continued in the same rural way for hundreds, if not thousands, of years. For miles around you can see wheat fields, cattle farms, orchards, mountains, forests and much more of the rural life. The lifestyle here can feel more Eastern European than Mediterranean, and the weather is certainly cooler. Properties here are very affordable, usually constructed from timber and the local red stone. The lifestyle here can feel more Eastern European than Mediterranean, and the weather is certainly cooler. Winters can be cold, wet and snowy. 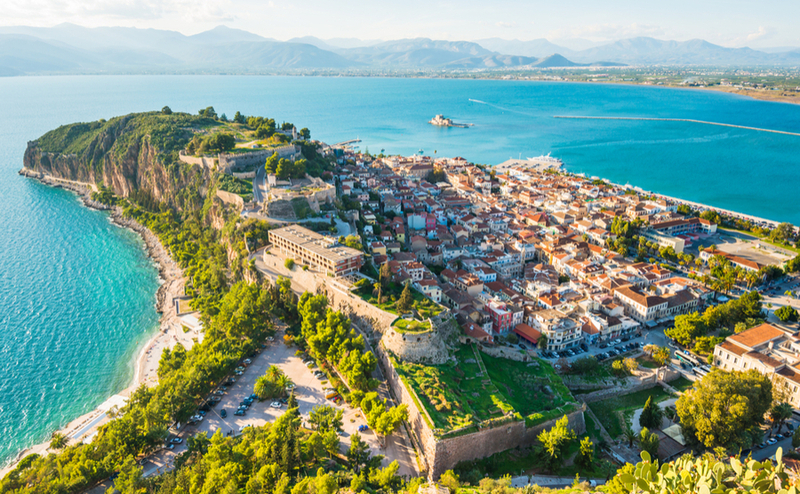 Nafplion in the Peloponnese is one of the property hotspots of the region. 10% of Greece’s population live in this peninsula in the south of the country. It is one of Greece’s most historic areas, home to Ancient Olympia. The climate and geography changes from coast to coast, including snowcapped mountains, lush valleys, fertile plains and a beautiful coastline. For foodies, the local produce is known to be exceptional, especially the locally grown Kalamata olives. 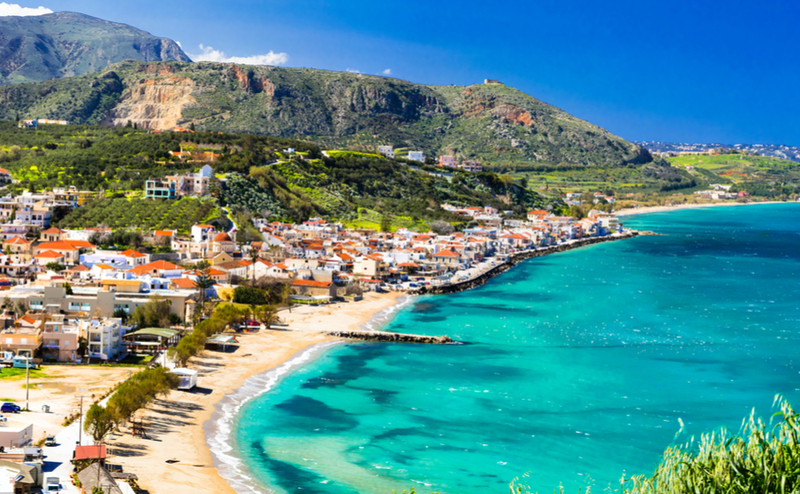 Like the centre of Greece, the Peloponnese has undeveloped areas that rarely see tourists or international homebuyers. On the other hand, there are also über up-market resorts like Costa Navarino and Amazanoe. The Beckham family has been known to vacation here. Kalyves in Crete has beautiful beaches and a number of good cafés and restaurants. 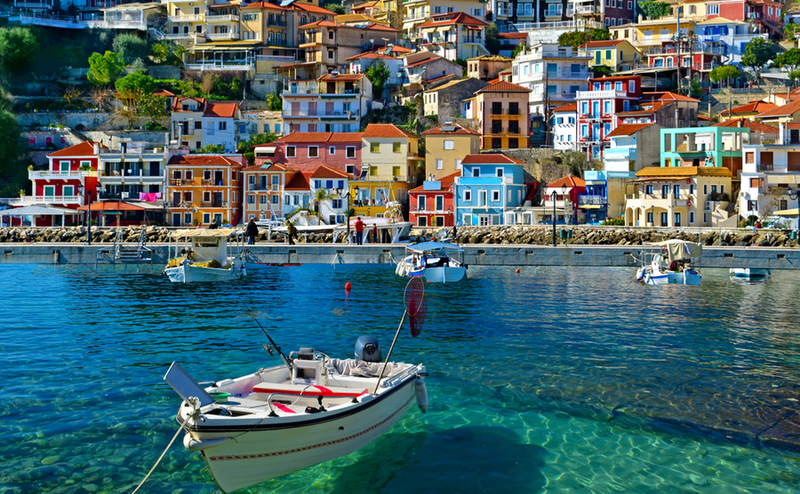 The largest island in Greece is one of the most popular with expats from across the rest of Europe. 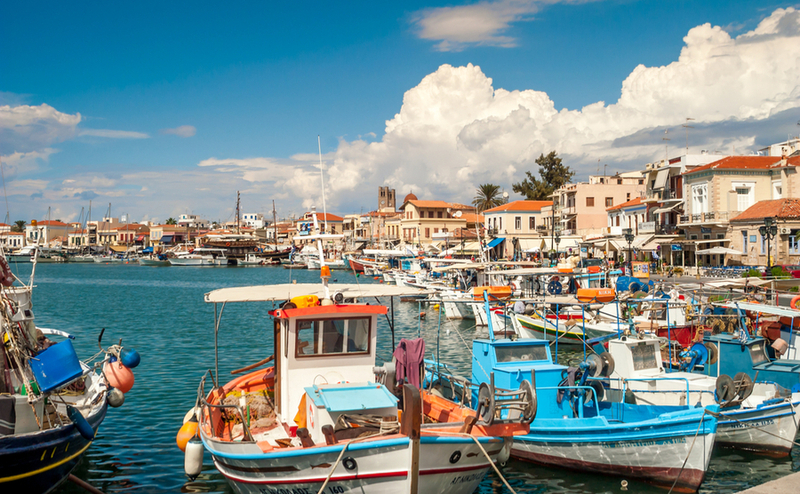 Chania in the north, Rethymno in the centre and Lasithi in the east are all particularly popular with foreign buyers. So are the inland villages, slightly inland from the coast, or in the foothills of the White Mountains. Its popularity with expats and tourists has sheltered Crete from the economic issues that affected the rest of the country. Even so, bargain properties are still available, especially those that need a significant amount of work. Crete is easily accessible, thanks to the international airports at Heraklion and Chania, although you may have to change in Athens in winter. Aside from that, it really has everything you could possibly ask for. In terms of budget, you can easily find change from €100,000 when purchasing a fixer-upper in a traditional village. A house with a pool may cost as little as €150,000. 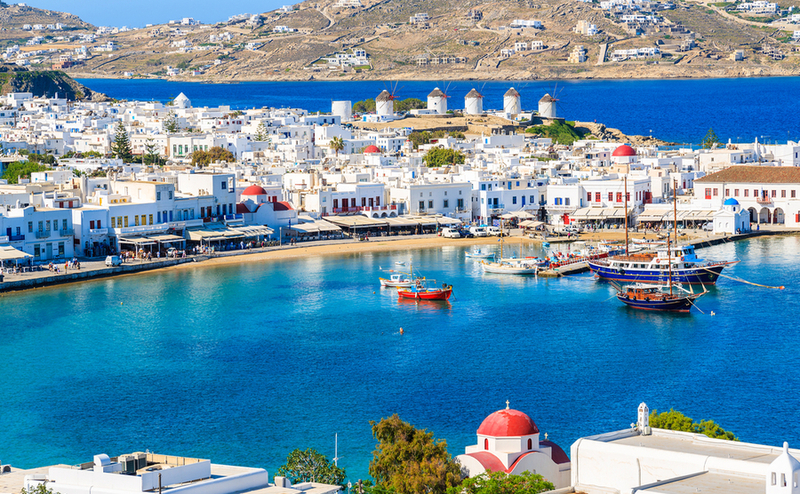 Mykonos combines a bustling nightlife with beautiful beaches and almost year-round sun. In the centre Aegean sea, you find the 30 Cyclades islands, including Mykonos and Santorini. These are the islands where every tourist brochure features the traditional cuboid, whitewashed Greek homes and buildings with brightly coloured domes and terraces. In Mykonos, the west coast is where all the action happens. Here you’ll find the most desirable areas to own a home, including Mykonos Town, also known as Chora. It has an ancient harbour and the picturesque ‘Little Venice’ quarter. Other hot spots on this coastline include Agios Lazaros, Agia Sofia, Tourlos and Houlakia. Set back a bit from the jetsetters, gay-friendly Elia has the island’s longest beach. Platis Gialos is one of the oldest resorts on the island and is a more laid-back option. Mykonos is not cheap. For a small detached villa outside of the more fashionable areas and with no pool, don’t expect a lot of choice for under €500,000. Your options (for a villa) increase significantly with a budget of €1million-plus. Mykonos achieves one of the highest yields from holiday lets of all the Cyclades islands, according to local agents. The most desirable multi-million-euro villas can be let for as much as €10,000 or €20,000 in high season. On many islands, you could buy a whole home for that! Paros and Santorini are the next best earners. Mykonos and Ios offer the hedonistic lifestyle, while Santorini is known for its beauty. Syros is popular with those looking for a more quiet life. Despite being one of the smallest islands of the Cyclades, it is the legal and administrative centre. It’s also a transport hub for the northern islands, from the ferry port in Ermoupoli. This gem of a Cycladic town owes its name to Hermes, the god of trade. Its illustrious past – it was Greece’s main port once upon a time – is perfectly demonstrated by its historic mansions, marble paved streets and squares, imposing churches, monuments, statues and well preserved neoclassical buildings. One problem with Greek islands in general – although you may see it as a plus – is that while busy in the summertime, they are generally very quiet in winter. In Santorini and Mykonos, however, the tourist authorities are beginning to open more hotels and attractions in winter too. Many are working to improve year-round access. Property prices on these islands are some of the most expensive, but this does mean that they have high holiday rental returns. The closest Greek islands to Turkey, including Lesbos, Chios and Samos, were in the news a couple of years ago thanks to the migrant crisis. This has largely, although not entirely, been solved. The islands are returning to being most popular with tourists and expats. These are not the easiest in terms of access from the mainland. However, there are direct flights throughout the summer. The property markets, especially in Lesbos and Chios, are well developed, making it easy for expats to find affordable properties. The Ionian islands have a distinct Italian influence in their architecture and culture. Home to Corfu and Kefalonia, the Ionian islands have been popular with British expats for decades. The success of Gerald Durrell’s books, and the TV hit The Durrells, will have helped. The north-west corner of Corfu has long enjoyed the nickname “Kensington-on-Sea”. It gives a slight insight into those who live there and the prices they pay. The island also has a UNESCO heritage old town, and is also popular for its olive and pine groves and secluded sandy bays. Off to see homes? Get a copy of our free Viewing Trip Guide so you know exactly what to look out for. Properties on the north-east coast of the island have been sold for as high as €5 million in the last few years, but near Kassiopi you can easily find a three-bedroom cottage or a renovated townhouse for around €200,000. Kefalonia, famous for the story of Captain Corelli’s Mandolin, is made for tourists who decide to stay, with purpose-built modern holiday villas and apartments. You can find apartments here for less than €100,000. The island of Zakynthos is another favourite with expats and tourists, thanks to its easy summertime access and the possibility of holiday rental income. The Ionian islands are the closest to the UK, making them the easiest to access, either by air into Corfu, Preveza, Kefalonia or Zakynthos, or overland via France and Italy and then ferry. 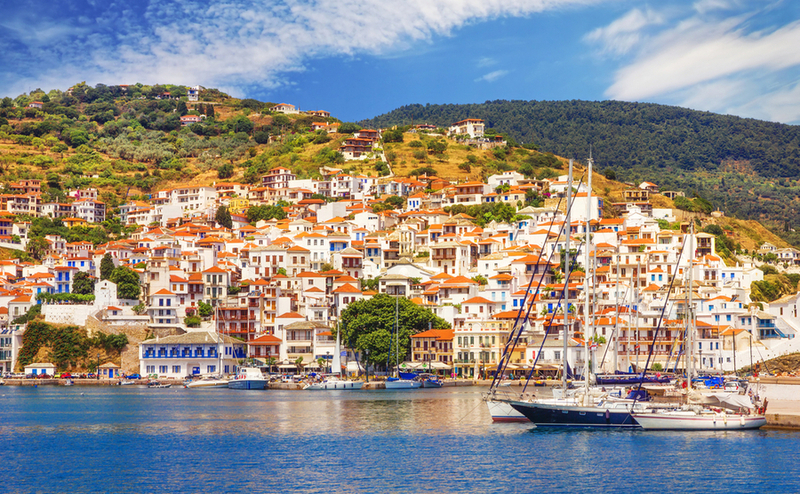 Skopelos is relatively unspoilt, despite being made famous by Mamma Mia! The Sporades islands have become well known in recent years, thanks to the hit Abba musical Mamma Mia! Skiathos is popular with tourists and foreign residents, and is regularly listed as one of Greece’s most beautiful islands. Skopelos (where the movie was filmed) is more traditional and relatively unspoiled. Here you can find gorgeous traditional stone farmhouses called kalyvia. The largest of the Sporades islands is Evia, which can be reached by car from Athens in under two hours. The north of the island is popular with both international buyers and weekending Athenians, especially the quiet seaside resorts of Limni and Loutra Aidipsou. If you’re looking where to buy in Greece and you want proximity to Athens but also the island lifestyle, the Argo-Saronic Islands are the place for you! the UK all year round. The closest of these islands is Aegina, which is only an hour by sea. This is popular thanks to its mountains and green landscape, and beautiful beaches – although property is expensive. Also important to note are Hydra and Spetses, which are beautiful, cosmopolitan, expensive, and car-free! 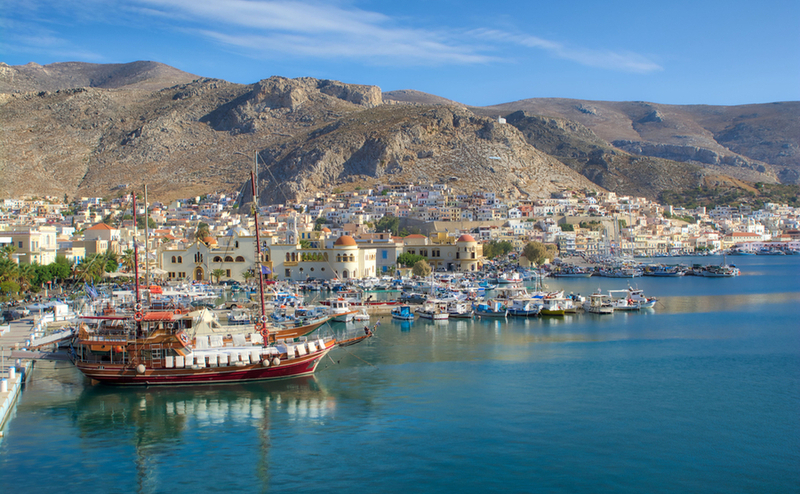 Porthia in Kalymnos is one of the many beautiful islands in the Dodecanese. the market. However, a modest townhouse can be found for €200,000, or a detached villa could cost around €400,000. The Dodecanese are also home to Kos, Kalymnos and Karpathos, all increasingly popular with buyers thanks to the year round sunshine.